IIE T-Shirt is one of Industrial Engineering students pride. The t-shirt represents them as students that are involved in many international programs initiated by both department and student organization. 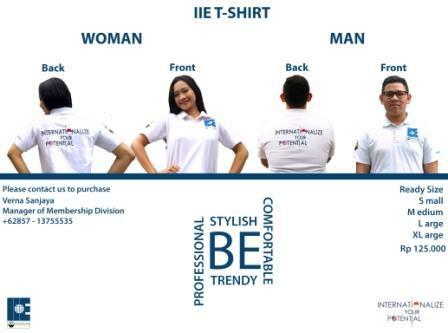 Purchase IIE T-shirt now and Internationalize Your Potential! IE Binusian 2015 in Business Transformation Seminar By PT LotteMart Organization Development.